Well only one more sleep to the big day and the excitement has reached fever pitch. 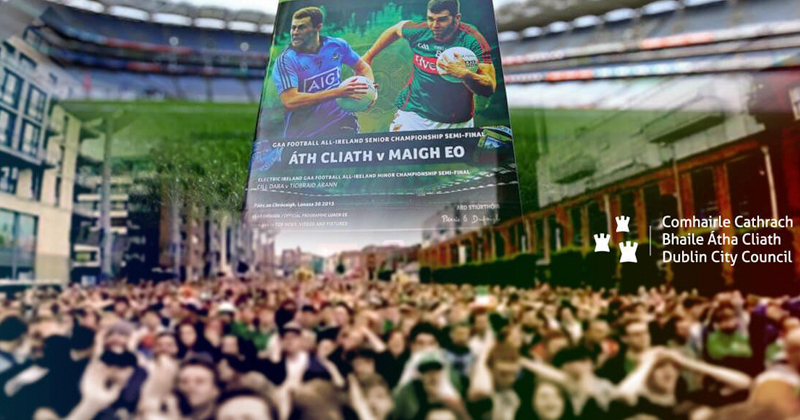 So we thought we would relive the last time Dublin and Mayo met in an All Ireland Final and that was of course three years ago. Mayo started the brighter of the two teams and raced into a 0-04 to 0-01 lead but the star of the show for Dublin on the day was Bernard Brogan who brought the Dubs level when he got his fist to the ball ahead of Mayo goalkeeper Hennelly and Ger Caffererkey and directed it into the back of the net. At the half-time Mayo led by 0-08 to 1-04, but Dublin took over after the break and went three clear thanks to excellent points from Paddy Andrews, Paul Flynn and Bernard Brogan. A goal from Andy Moran gave Mayo fans some hope that it might be their day but the response was emphatic from Dublin, as three minutes later Denis Bastick set up Bernard Brogan who palmed the ball to the net for his second goal of the game. Mayo were second best in the second half and a couple of freed from O’Connor kept them in the game as Moran’s goal was the only score they mustered from open play in the second half. Dublin ran out deserving winners by 2-12 to 1-14 and Bernard Brogan finished with 2-03 to his name and the man of the match award. Here’s hoping Dublin get a similar result tomorrow.